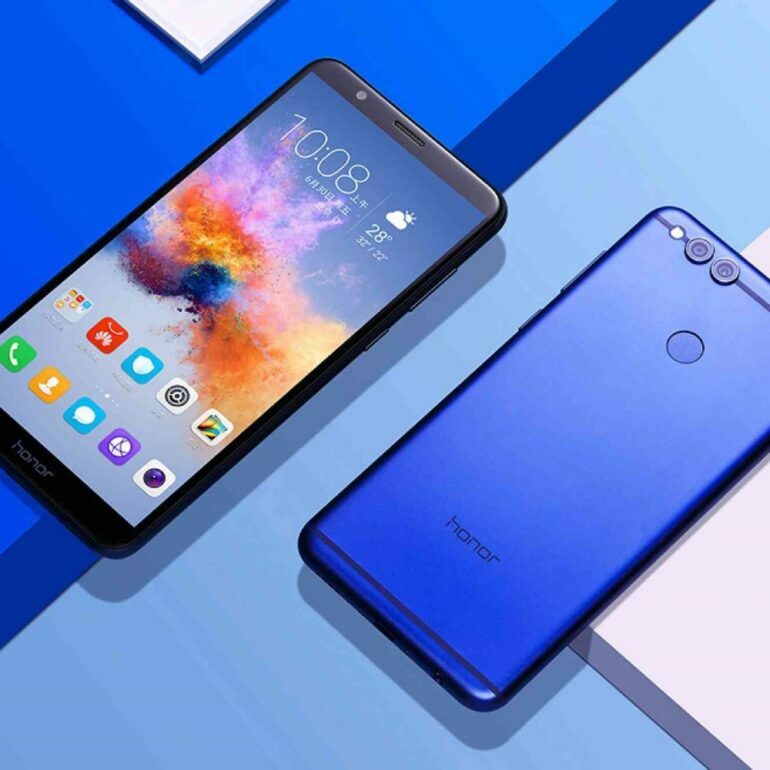 Honor devices have been acknowledged as devices of great value. Huawei has been relying in the latest technologies in order to provide a great balance between hi-tech and low prices which is a very difficult task. However, they make this seem very natural in the new Huawei honor 7X. Huawei’s current Mate Series are great examples of their capability in High-end devices with the Mate 10 and Mate 10 pro, as well as the Mate 10 lite. Nevertheless, you might be able to see that there is not a great difference when you compare these devices with the Honor 7X, especially if we focus on systems specifications. Let us discuss only the details regarding the 7X, though. The Huawei Honor 7X presents a metal unibody of 2.5D glass on front. It has a 5.93-inch IPS LCD display with 1080p coming to 407 pixels per inch and Gorilla glass. It performs a HiSilicon Kirin 659 chipset, 4-core Cortex-A53 at 1.7 GHz, Mali-T830MP2. It comes with 3 up to 4 GB RAM and storage of 32 to 64 GB with hybrid micro SD slot. It has a dual rear camera of 16MP (1/2.9 inches, 1.25) plus 2MP with PDAF and videos at 1080p and 30fps. Its selfei cam it’s quite good present 8mp. Yes, a lot of people point out the fact that the selfie camera is not that great and that there are some other elements missing but if you consider the fact that it is released costing USD 200—which is 50 dollars less than its previous model the 6X, you understand that its awesomeness comes from the balance between low cost and high-end. The Huawei Honor 7X runs on Android 7.0 Nougat and EMUI 5.1 on top. It has a battery of 3,340 mAh. It also has Hybrid Dual Nano-SIM (hybrid micro SD slot, Wi-Fi, Bluetooth 4.1, FM radio, and 3.5 mm headphones jack. It also comes with fingerprint scanner and DTS audio. It is absolutely understandable that there is no smartphones without faults. A USB Type-C slot might have been something amazing to see in the Honor 7X. In general Huawei is not the most amazing or the biggest company that is in the market, however it is incredible how a lesser company can make you safe some dollars while providing you with the best quality and the latest technology in a device that will definitely make a great partner for you. Its package is not too fancy either, presenting no more than a two-parts carboard box that might seem a little simple or sturdy but that has great sense of space and value-considered use of materials. This is what people enjoy the most about Huawei smartphones, its humbleness and an environment-friendly attitude that has always characterized it. That and the beautiful blue-greenish color which the 7X comes with makes it really stand out. So, if you are looking a great Smartphone at an even better price, do not hesitate in getting the new Huawei honor X7.